During the period from the date of opening of the exhibition managed to visit more than 450-year-guests. This is a great indicator that displays the friendly attitude and support of the Georgian people to the Ukrainian. Venue: Museum of Fine Arts, Tbilisi National Museum. Date: opened on February 12, it is open until 5 March 2016. 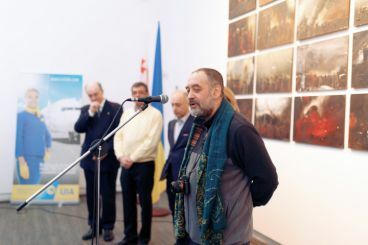 The grand opening of the exhibition Ukrainian painter Matthew Weisberg was held in Tbilisi, with a collection of works, some of which are dedicated to the events on the Maidan in Kiev in 2014. Bright artist`s work attracted the attention of creative individuals, public and public figures of Georgia. 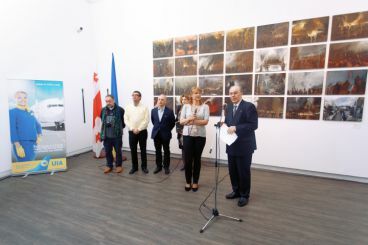 The opening of the exhibition of the creative is one of the most important moments in the relations between Ukraine and Georgia. 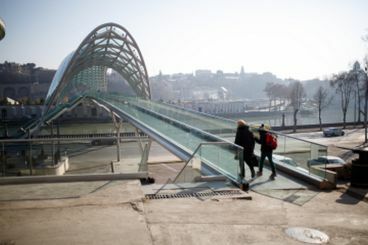 The event was supported by the Ministry of Foreign Affairs of Ukraine and the company "Ukraine International Airlines", which provided transportation Save jobs and flight to Tbilisi. The works of Ukrainian artist are valuable insight into the world about Ukraine, its position and aspirations.